Home > Online shopping > Fandango Promo Code: BOGO Fury Tickets! 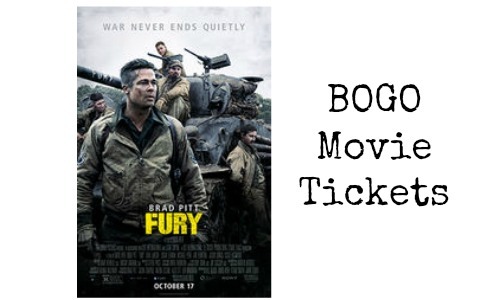 Fandango Promo Code: BOGO Fury Tickets! Go on a fun date night! Use a new Fandango promo code to get buy one get one movie tickets to see the movie Fury. Fury opens in most theaters 10/17, but some theaters have showings on 10/16. Enter the promo code FURY to get the deal. This deal expires 10/19 or while supplies last so make sure you get this really great deal before all the tickets are sold out.